Let’s Get Ready For Maison et Objet 2018! A quick recap to refresh your memory! Let’s have a quick recap of past years, shall we? 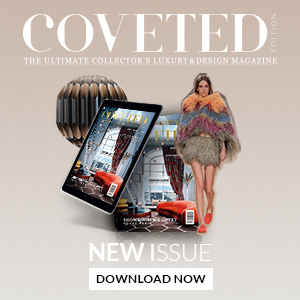 Maison et Objet 2018 is here to make itself known in every single corner of the world and with that, we have the best of stands for you to get a glimpse of what you missed! Don’t wait, let’s take a peek! RELATED: Why You Can’t-Miss Maison et Objet 2018 in Paris! Dark, mysterious and different. The contrast between the luxury lighting home and the easy, fun side of the industrial style was the one to conquer interior design show, Iconic pieces such as Diana and Botti were the chosen ones to make a distinguished appearance. While maintaining their aura and homage to the mid-century modern style, DelightFULL chose to bring a more quirky side to things by showcasing their Graphic Collection. An eye turner, the Maison et Objet exhibitor of 2014 was the one to be around in. Present in both shows of the furniture trade show, DelightFULL had a transformation from 2015 to 2016. Established as a darker and mysterious aura this year was a year that brought renovations and news. While in the Maison et Object January the stand brought a sense of history, glamour and luxury present in every aspect the Maison et Objet September brought a revamped Stand. Why? Essential Home was brought into play. The mid-century furniture brand was established as a partner and with that, a new stand was brought to life! Embracing the fun side of the mid-century aura with the charm of the industrial style, DelightFULL and Essential Home was a show stopper. 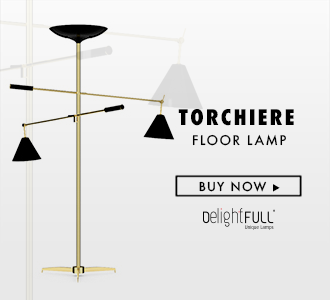 In 2017, DelightFULL left its darker tones and focused on bringing the best experience to each and every customer. Embracing the fun style of life, DelightFULL’s stand at Maison et Objet 2017 was the one to bring novelties around. In September 2017, DelightFULL was the one to bring the best of both worlds. While bringing a visual interpretation of the lighting designs for a better vision for their clients, Essential Home was the always present partner with their unique design and inspiration. What You’ll Be Seeing in Maison et Objet 2018! RELATED: What To See While You’re In Maison et Objet 2018!